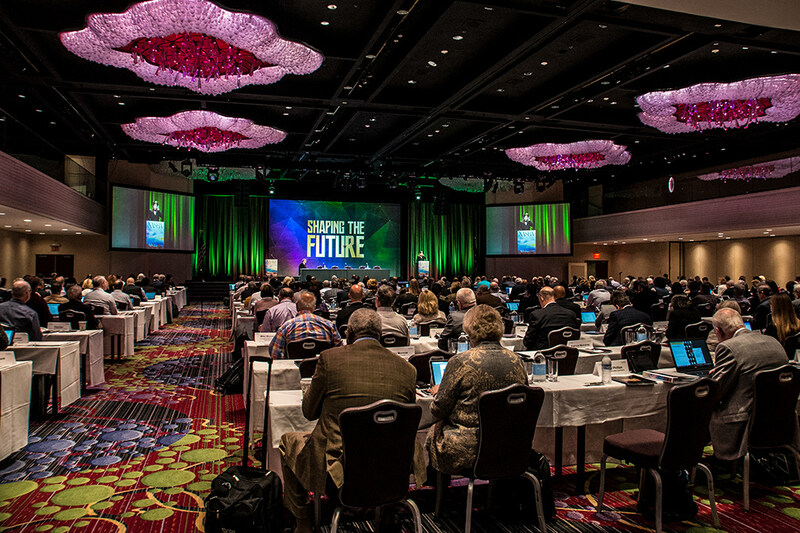 Surrounded by the sounds and sights of a city that never sleeps, attendees of NASBA’s 110th Annual Meeting had the unique opportunity to gather in the heart of New York, NY, where NASBA headquarters was first located. From October 29 – November 1, 2017, meeting attendees including Board of Accountancy members and staff, AICPA and State CPA Society representatives, NASBA staff and other key stakeholders, spoke about and discussed issues and topics relating to the CPA credential and the accounting profession. This past year, there were many challenges for NASBA and the state boards, some of which were unprecedented. As a result, the theme and focus of this year’s Annual Meeting was coined, “Shaping the Future,” to signify the importance of not only being prepared, but that the Boards of Accountancy must participate in the process of change to accomplish the ultimate goal: protect the public. The NASBA Center for the Public Trust (CPT) worked hard throughout the Annual Meeting to raise funds for future StudentCPT events by hosting a Bids on Broadway auction and giveaway event, and CPT staff stayed onsite to network and converse with attendees. In total, the CPT raised more than $35,000 to support its initiatives in the coming year. During the final day of the meeting, attendees witnessed the signing and celebration of both new and renewed Mutual Recognition Agreements with international accounting bodies from Canada, Mexico and Ireland, which have resulted from the culmination of many years of work by the NASBA/AICPA International Qualifications Appraisal Board. For more information about NASBA’s 2017 Annual Meeting, click here. Stay tuned for the announcement of where next year’s Annual Meeting will be located!